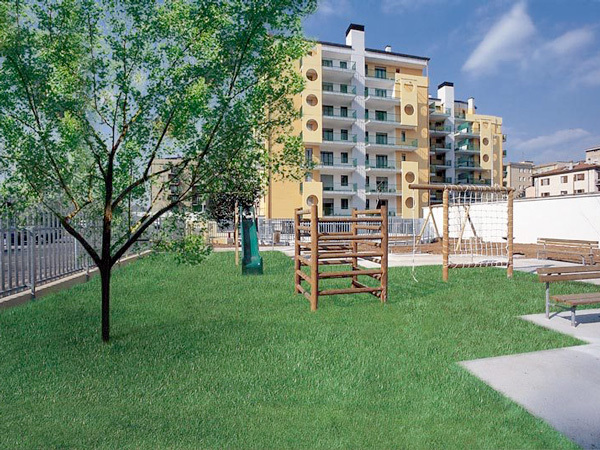 Residence Viale Venezia has been a point of reference for many years for all the students who want to live in Verona. 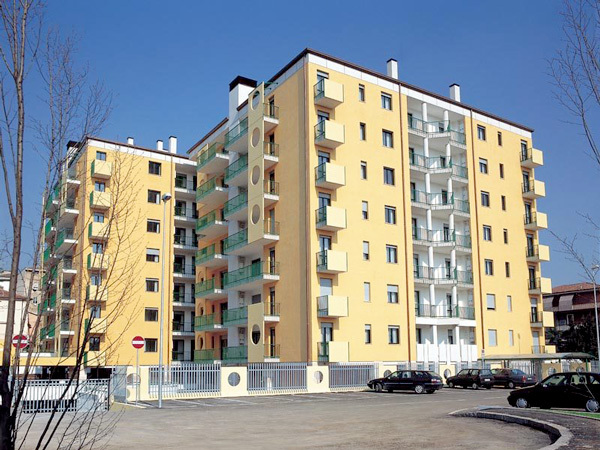 The structure is the perfect solution if you are faced with the problem of finding accommodation in Verona, thanks to its strategic location in front of the train station and just 100 meters from the University. 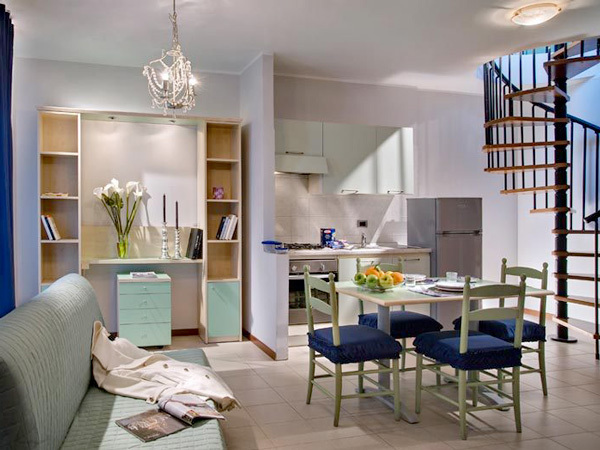 The apartments are available both for short and long stays and can be booked on a monthly basis. 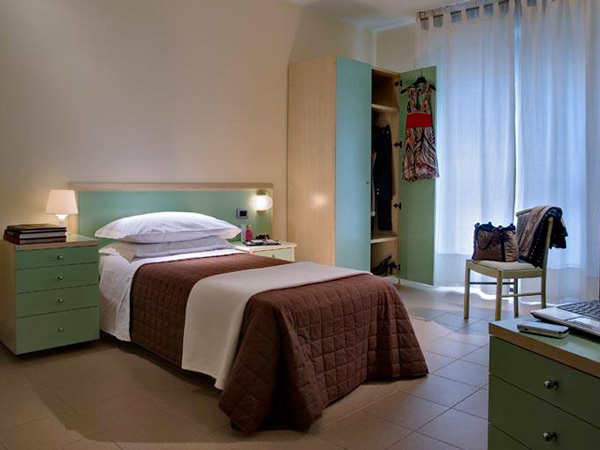 Therefore, they are ideal both for students attending sessions and for anyone who just needs to stay in Verona for the exam session or to write their thesis. The student rooms are bright and big, equipped with independent kitchen and private services and are completely furnished, with Wi-Fi is included. 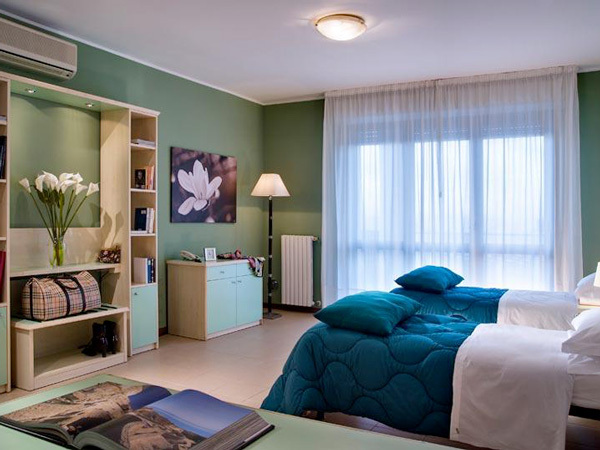 While these are private apartments, students do not have to worry about cleaning or maintance, which is included in the rent along with change of bed linen and bath towels. Thanks to the free fitness corner offered by the residence, the student guests of the structure won’t have to buy a gym membership.. Besides, each student can freely use a personal bike for their stay. Guests are also admitted in the apartments, provided they show an ID at the reception. 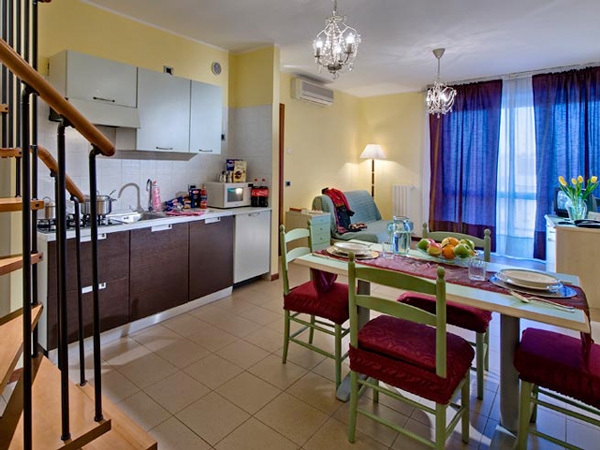 Residence offers both single and double rooms, in 2, 3 or 4-person apartment and there are no agency fees nor registration fees for the rent agreement. Thanks to the many amenities offered by the apartments and the proximity to the main libraries in Verona, there is no shortage of tranquility and concentration to study. The residence is also located in an area well served by the main public transportation such as bus, taxi and night shuttle services during the weekends towards the city’s most famous nightclubs and bars. The old town center of Verona, with its richness of history and art, is just a few minutes away on foot and it offers many leisure and relax opportunities. Due to its position, the structure is the ideal starting point to visit the city and the surrounding hills on bicycle. Residence kept well with parking and clean. Comfortable apartments. Included are the bicycles with which you can reach the center of Verona in a few minutes. The quality - price comparison is excellent. We stayed in this residence for 2 nights ....... not far from the city center ..... large apartment with all the amenities ..... staffed by the h24 staff at the entrance ..... great value for money .... recommended. I was almost a month for work, and I had a great time. Apartment for 4, complete with kitchen and washing machine. It is 20 minutes from the center and a few meters away there is the bus stop. Recommended if you want to stay in Verona. Verona is known all over the world thanks to Shakespeare’s masterpiece Romeo and Juliet, which takes place in this city. Therefore, you cannot miss out on a visit to Juliet’s balcony, in the old town center of the city. Ther are many monuments to admire in the center of Verona, historical squares and emblematic statues, such as Piazza dei Signori and the Dante statue, piazza Erba and its Venetian lion. Piazza Erbe, besides being the oldest square in Verona, it is also the liveliest; you can’t miss the Aperitivo in one of the bars under the colonnade. The ancient castle, built to protect the city, today hosts Verona’s civic Museum; besides the precious collection, the structure is of great architectural interest and it has been restored between the 60s and 70s by architect Carlo Scarpa, from a modern point of view. The University Sports Center offers the possibility to play any kind of sports, from athletics to team sports and also martial arts.